I’m headed to Wichita, Kansas, this week to speak at GAMA’s annual General Aviation Air Safety Investigator Workshop, on September 26. At this event, I’m looking forward to addressing a broad representation of the air safety investigator community, including both government and industry safety professionals from the U.S. and around the world. The training affords investigators an opportunity to improve skills in identifying and mitigating safety hazards. As part of the NTSB’s continuing efforts to improve GA safety, I have been highlighting good safety practices and pointing out where improvements can be made. I’m especially excited about addressing this particular audience as it provides an opportunity for discussing specific measures needed to reduce the GA accident rate, as well as gain a better understanding of what types of safety issues stand out in the world of corporate, business, and personal flying operations. The recent GA Safety Forum held by the NTSB in June of this year, initiated this dialogue and Wednesday’s workshop allows me to continue that discussion. The workshop will also offer safety investigators an opportunity to hone their skills by replicating “real world” situations and allowing them to actively participate in simulated investigations, ensuring these professionals are up to date on current trends and best practices. Notably, this event enables me to reach out to air safety investigators, a group uniquely poised to make contributions to the GA safety effort. Bottom line: improvements in GA safety are not going to come from just one aspect of the GA community; it will take the focus and attention of the entire community. This week, the traffic safety community is celebrating Child Passenger Safety Week. Tomorrow is National Seat Check Saturday. For many years, these events have helped raise awareness among parents and caregivers of the importance of properly installing child safety seats. Car crashes are a leading killer of children ages 1 to 12 in the U.S. The proper use of a child safety seat or booster seat can make all the difference. But with the great variety in child restraints and motor vehicles, these devices are not the easiest equipment to install. In 1999, the NTSB called on all 50 states and the District of Columbia to establish permanent locations where caregivers could receive hands-on assistance from a certified technician in how to properly install and use child restraint systems. Today, there are more than 35,000 child passenger safety technicians and thousands of permanent fitting stations across the country assisting families and caregivers. This past Wednesday, Safe Kids Worldwide and the General Motors Foundation celebrated fifteen years of educating communities, preventing injuries and saving lives through its Safe Kids Buckle Up program. With more than 600 coalitions across the country, Safe Kids Buckle Up volunteers provide parents and caregivers with free education and assistance to ensure that they are using the best child restraint system for their children and that they are using it correctly on every trip. Yesterday, Dennis Collins, an NTSB investigator and Child Passenger Safety Technician Instructor, volunteered at a seat check in his community in support of National Child Passenger Safety Week, one of thousands of technicians across the country who are providing free services to families across the country. As a mother and child passenger safety technician I know first-hand how important the work of the Safe Kids coalitions and child passenger safety technicians around the country is. New parents are born every day. I encourage families to take advantage of the free education and installation help offered at a seat check event. To find a seat check event in your area this week, on Seat Check Saturday and throughout the year, visit www.seatcheck.org. Today, I had the honor of speaking to the Aero Club of Washington, an audience of professionals from across civil aviation. 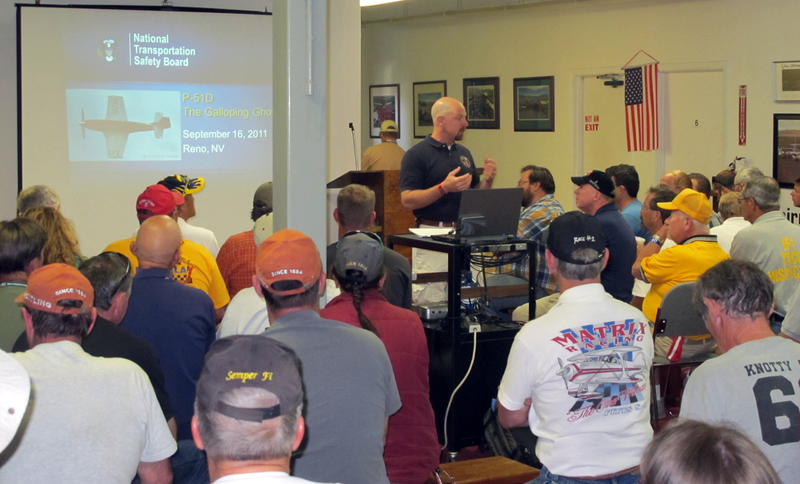 It’s a great organization whose members have done much to improve aviation safety. I recognized them for the aviation community’s hard work, which has resulted in a very impressive safety record — no fatal air carrier accidents since 2009. But, I pointed out to the Aero Club members that with some 34,000 annual fatalities across all modes of transportation, there’s a lot the NTSB does outside of aviation. Readers of this blog well know that in addition to aviation accidents, the NTSB investigates railroad, highway, marine and pipeline accidents. • The Washington Metropolitan Area Transit Authority committed to implementing all of our safety recommendations following a deadly two-train collision in 2009. • The surface transportation reauthorization legislation — known as MAP-21 — addressed another NTSB recommendation about transit safety and gives the Federal Transit Administration crucial safety oversight authority to set national transit standards. • The Federal Motor Carrier Safety Administration, which oversees bus and truck safety, has taken an aggressive stand on bus safety, such as its recent one-day shutdown of 26 bus operations and has also implemented tough new rules prohibiting interstate truck and bus drivers from using handheld cell phones. • NHTSA is addressing improved bus occupant protection and manufacturers are now voluntarily including seatbelts as standard equipment on new buses. Yes, the NTSB covers all modes. Our goal: improved safety. But, more to the point: it’s about saving lives. You can read the full speech here. Every year hundreds of children needlessly die as a result of being improperly restrained or not being restrained at all when riding in a car. According to the National Highway Traffic Safety Administration, in 2009 the fourth leading cause of death for toddlers age 1-3 was motor vehicle traffic crashes. For Children ages 4 through 7 it was the second leading cause of death and for children ages 8 through 15 it was the lead cause of death with more than 800 fatalities. Child Passenger Safety Week starts on September 16; the week culminates with National Seat Check Saturday on September 22. The week is designated to increasing public awareness of the risks associated with transporting infants, toddlers and children in passenger vehicles and to help Americans find safe ways to do so. 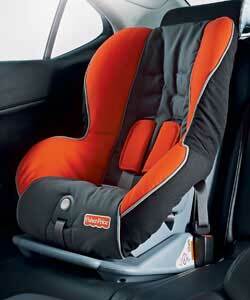 Your local Fire Department may help caregivers properly install booster seats and car seats. If your fire department doesn’t have these services you can always check www.seatcheck.org or http://www.nhtsa.gov/cps/cpsfitting/index.cfm for the free child safety seat inspection locator service. 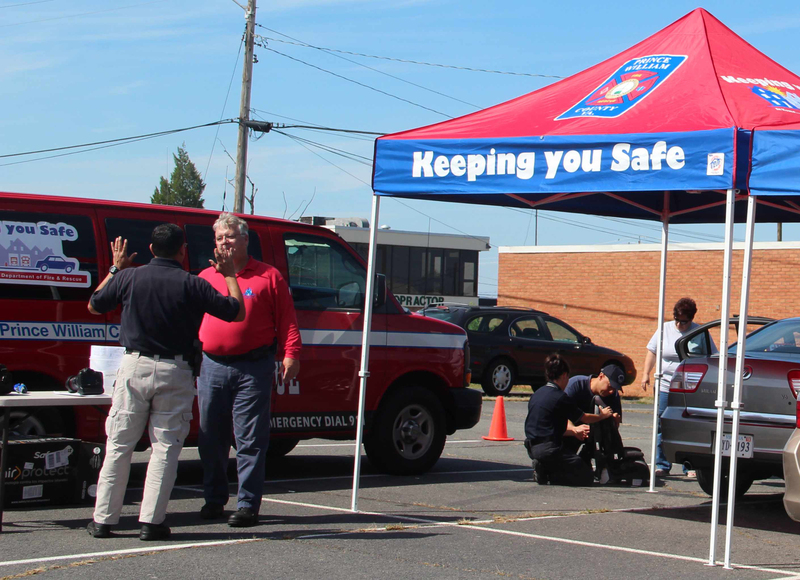 On National Seat Check Saturday there will be hundreds of locations around the US giving demonstrations and providing instructions on how to safely transport children and infants – check with NHTSA.gov to find out more. Remember, you are the most important influence on your children, so buckle up and make sure your little ones are properly restrained too. You’ll instill good habits that will last a lifetime. Nearly a year after a highly modified P-51D airplane crashed into the crowd at the Reno Air Races, killing 10 spectators and the pilot, planes are once again in the air at the Reno Air Show. But the event has undergone an overhaul that follows the Board’s safety recommendations. Gone are the fuel trucks that were previously stationed near the spectators, safety barriers have been placed in front of the pit areas and grandstand, which has been moved farther away from the speeding aircraft. The planes in the Unlimited Division have to undergo more extensive inspection and are reporting any modifications. And NTSB investigators are on the ground, explaining the Safety Board’s investigation of the Galloping Ghost crash to pilots, participants and organizers. Three weeks ago, the NTSB determined the probable cause of the accident was deteriorated locknut inserts that allowed trim tab attachment screws to become loose, which ultimately led to aerodynamic flutter at racing speeds — a critical situation. In April, we issued 10 recommendations — all of which have been completed or are in the process of being implemented. Air racing is inherently risky. The pilots understand and assume that risk. Spectators, though, expect and deserve a higher level of safety. Two years ago today, Sept. 9, 2010, during the early evening hours in San Bruno, California, a quiet neighborhood just south of San Francisco, a natural gas pipeline burst out of the ground, igniting a tower of flames that burned like a giant blowtorch for more than an hour. When the flames were finally extinguished, eight people had lost their lives and many more were injured; 38 homes were destroyed and 70 more were damaged. 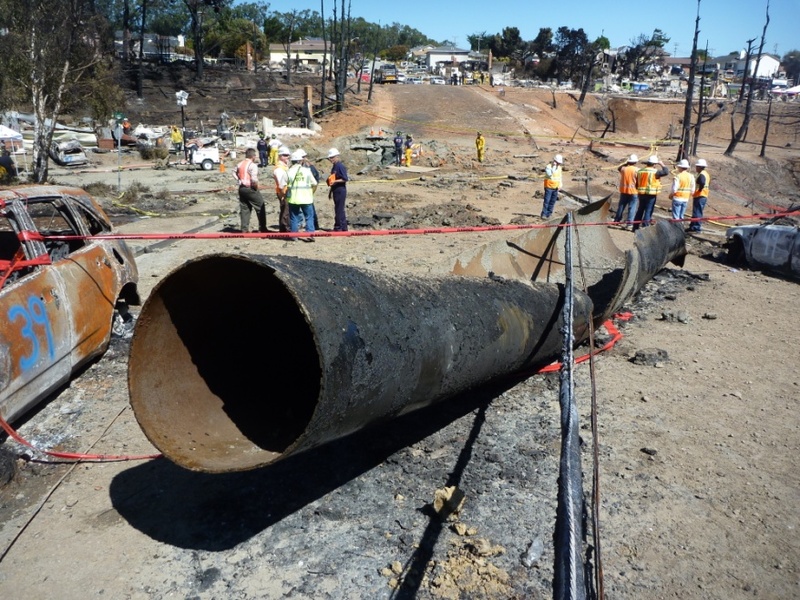 Our intensive year-long investigation revealed a faulty pipeline installed more than 50 years before the accident. But despite numerous opportunities, the operator, PG&E, failed to detect the damaged pipeline before it failed and tragically altered so many lives. Out of that investigation, we issued 40 safety recommendations; eight of which have been resolved and of the remaining 30+, work is in progress. Our goal is not only to see that all of our recommendations are adopted, but also to have the entire pipeline industry learn from the safety issues identified in the San Bruno accident – the importance of accurate records for operations, maintenance and repairs; comprehensive emergency response planning; and integrity management programs that are animated by the spirit rather than just the letter of the regulations. While much has changed in San Bruno, what is more encouraging is that many operators in the pipeline industry have followed this investigation closely and have taken to heart the lessons learned from the San Bruno tragedy. However, safety concerns still remain – today, half of the nation’s pipelines were installed before 1970 and were not subjected to the same rigorous testing that we see in newer pipelines. We’ll continue to push for mandates requiring better testing for those older pipelines so an accident like the one that occurred in San Bruno is never repeated. On September 6, I’m looking forward to speaking at the 36th Annual Kentucky Aviation Conference, sponsored by both the Kentucky Aviation Association and the Kentucky Department of Aviation. This conference, attended by Kentucky airport officials, provides another opportunity to touch on General Aviation issues, a favorite topic of mine. Kentucky GA airports, in combination with three larger commercial airports, are a critical resource for the state’s economy. Commercial and general aviation operations move 21 million passengers and over 4.5 billion pounds of freight through Kentucky airports each year. That’s why it’s so important GA remains a viable option for states with limited commercial operations. And a viable option means a safe option. In terms of aviation safety, more broadly, GA will increasingly play a significant role in pilot development. With the scaling back of military aviation training and operations, GA has become the primary source of professional pilot development – and the stock is running low. 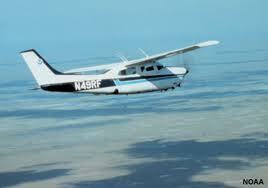 Safe GA operations, accessibility to GA airports, and quality flight instruction are in demand. Bottom line: today’s global economy requires pilots – and local GA operations and airports are critical to the global supply chain.